This exquisite snuff box is a true example of the best quality Swiss design, cast entirely in lustrous solid gold and featuring wondrously detailed enamel. 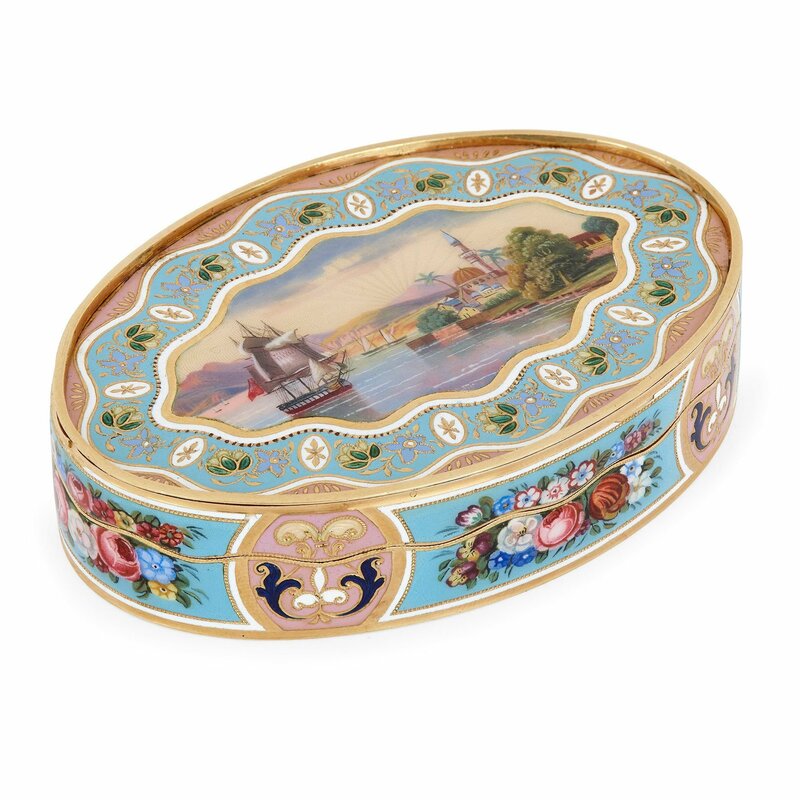 The snuff box is of oval form and cast in solid gold, which is decorated all over with enamelled detailing. 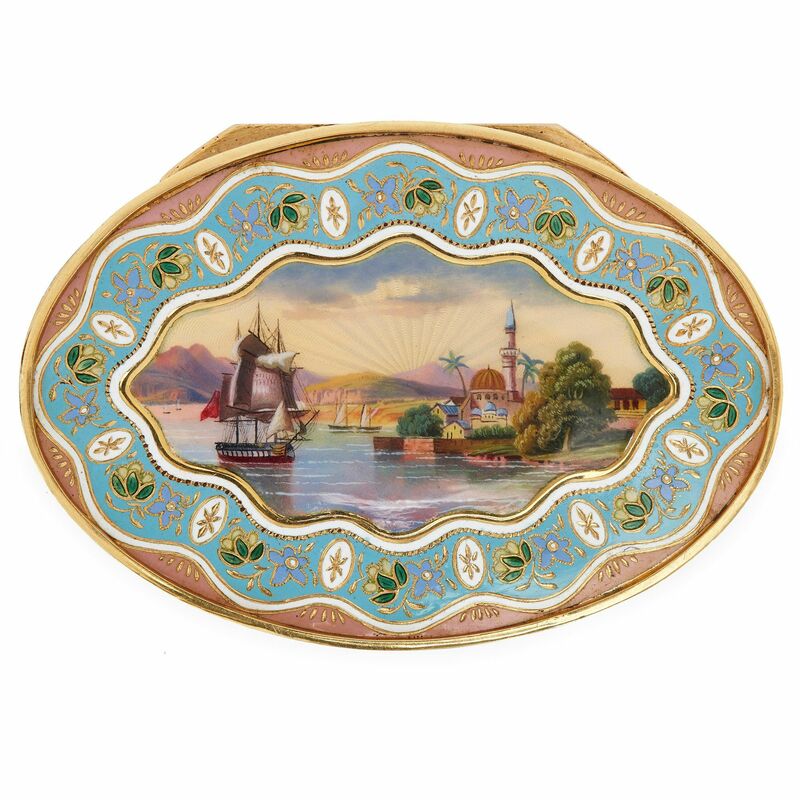 To the upper lid of the box is a central enamelled scene depicting a ship near a coastline at sunrise. There is a mountainous landscape in the background and a small village with a mosque and palm trees in the foreground. 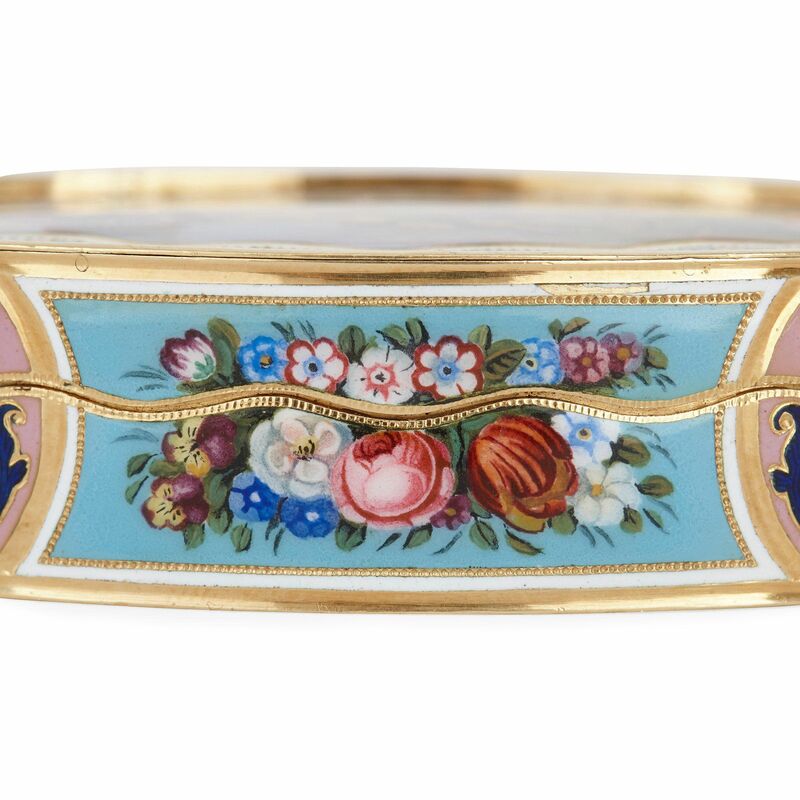 This scene is bordered within an undulating wave-form enameled floral foliate pattern on a turquoise ground. 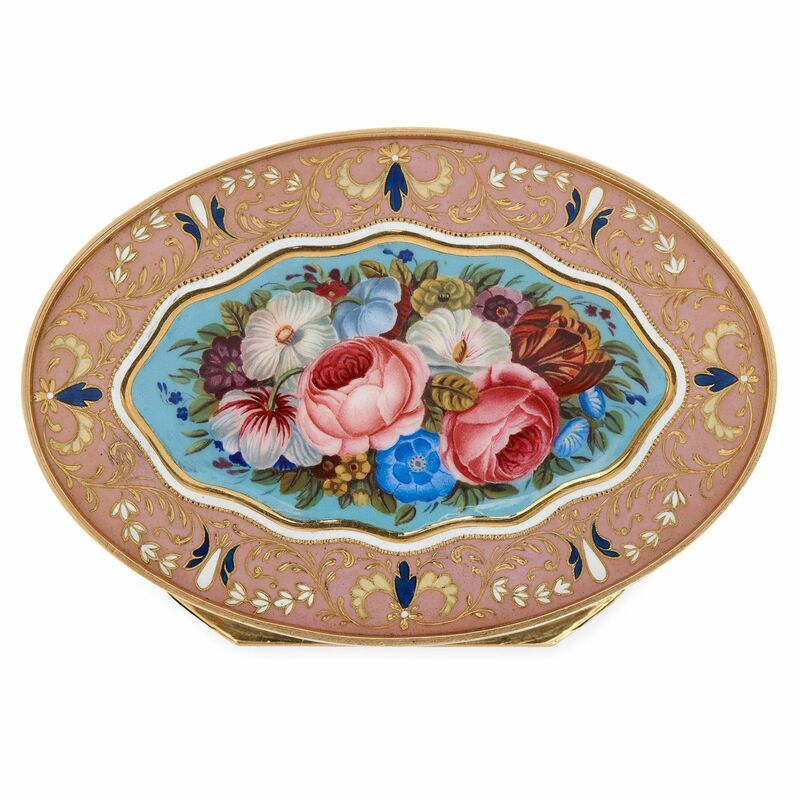 The sides of the box are decorated all around with alternating enamel panels of arabesque motifs on a pink ground and floral still life arrangements on a turquoise ground. 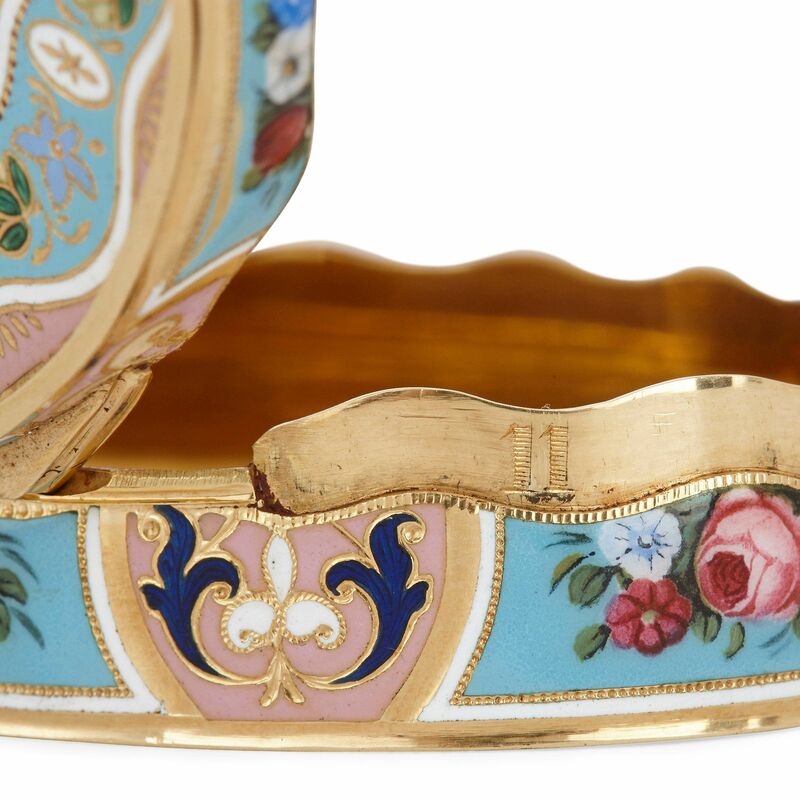 The underside of the box is decorated with a enamel panel of a floral still life arrangement on a turquoise ground, which is surrounded by gilt arabesque patterns on a pink ground. 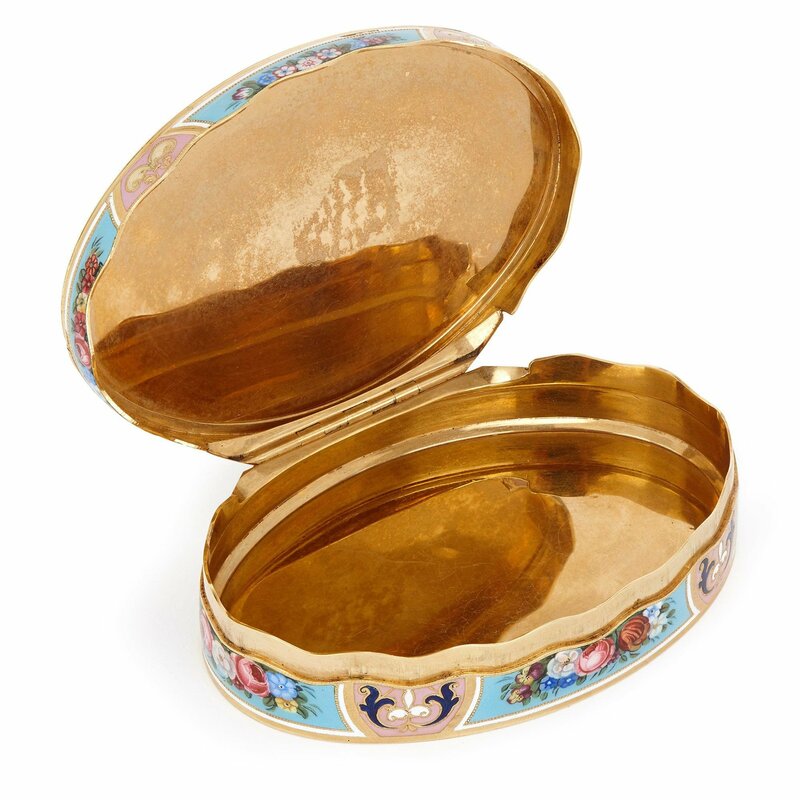 The box opens with a hinge to the rear, with an undulating rim, to reveal an interior of solid and lustrous gold. 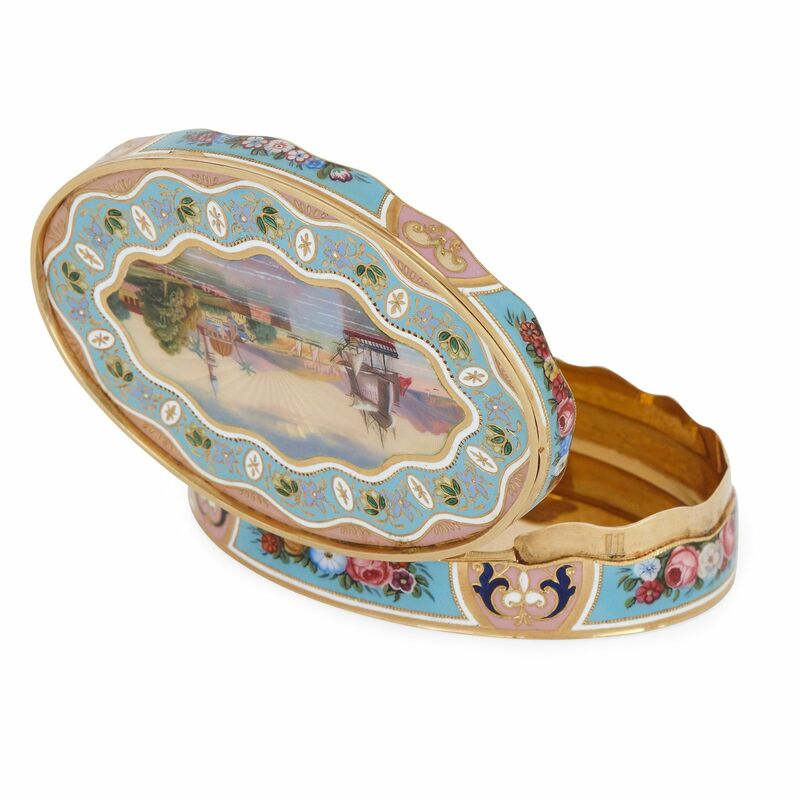 The box bears the stamped number '11' to the rear at the opening.